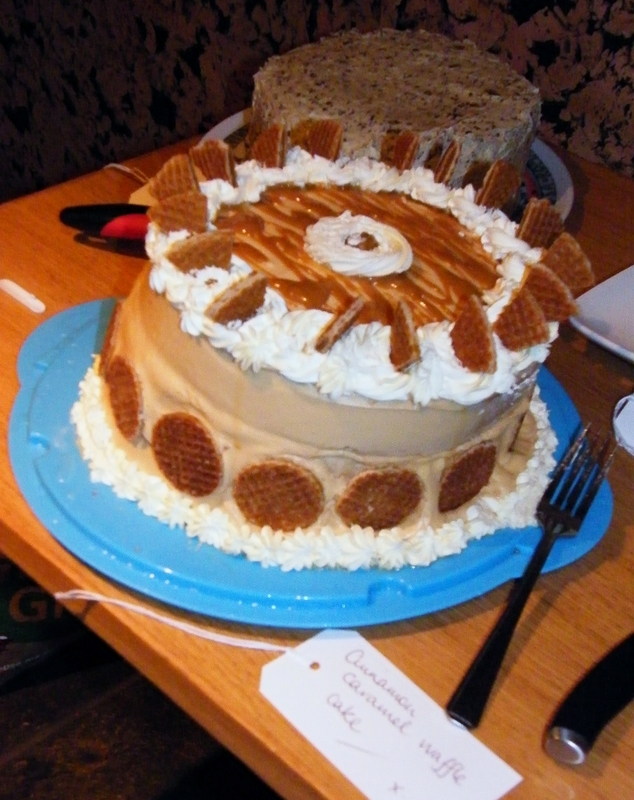 For the third meeting of the Clandestine Cake Club in Dundee, I came up with the theme - I Scream, You Scream, We All Scream For Ice Cream. For my cake I wanted to combine two of my favourite ice cream flavours, raspberry ripple and cheesecake. Now the rules of cake club state there cannot be cheesecake, but I thought I could get around that by introducing a sponge base instead of a biscuit base and really make it into a cake instead of a pudding. I really hoped to make another one to try before the club meeting, but a combination of lack of time and being exhausted put paid to that. I just had to cross my fingers and hope my next one (longer in the oven) would be a success. It was nerve wracking when the cake was cut into, but it turned out really well and I had a lot of praise for it on the night. The cheesecake was really light as was the sponge base and it had set well this time. Phew! We had our third cake club in the basement of Drouthys. 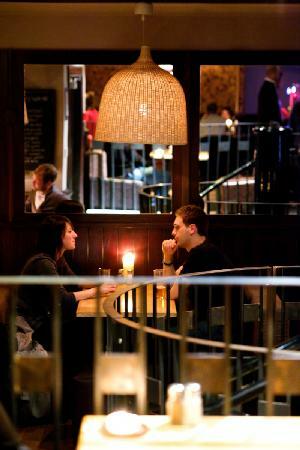 It is a great pub situated on the Perth Road, directly across from the art college. I go there regularly with my yoga friends for a meal. The food is excellent and the staff are always lovely. I also have many good memories of time spent there as a student when it was named McGonagalls. 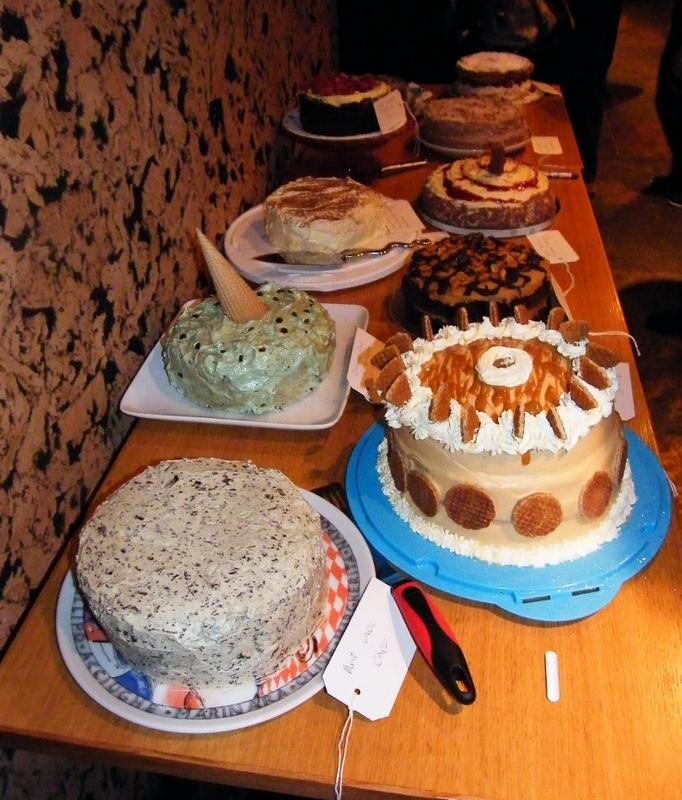 It was lashing down with rain when we arrived, but the cakes all arrived safely, thank goodness. 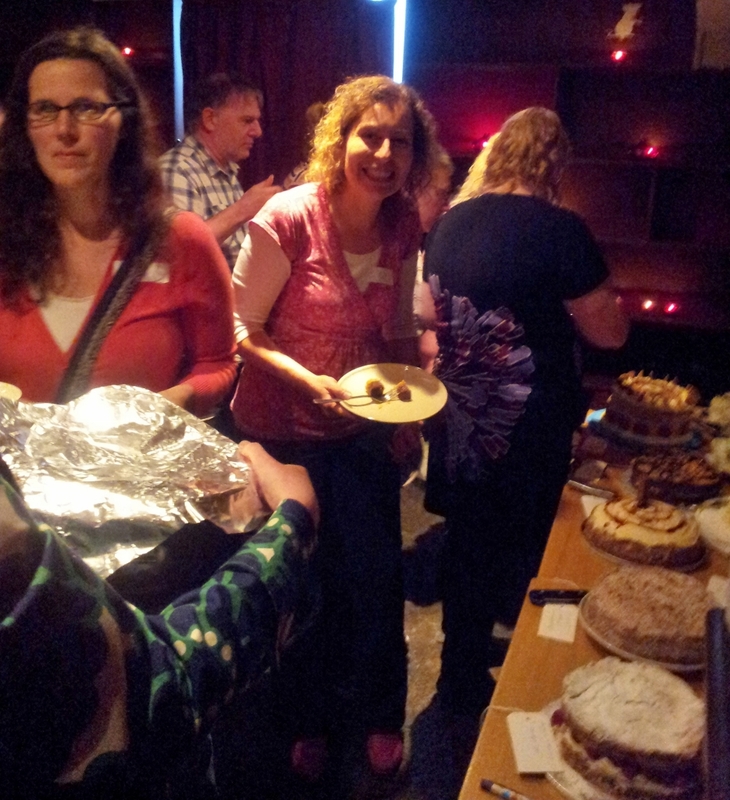 There was a great turnout, we were 21 proud with 11 cakes to work our way through. It was a bit dark in the basement, which is great for cosy chats, but not so good for photos I am afraid. 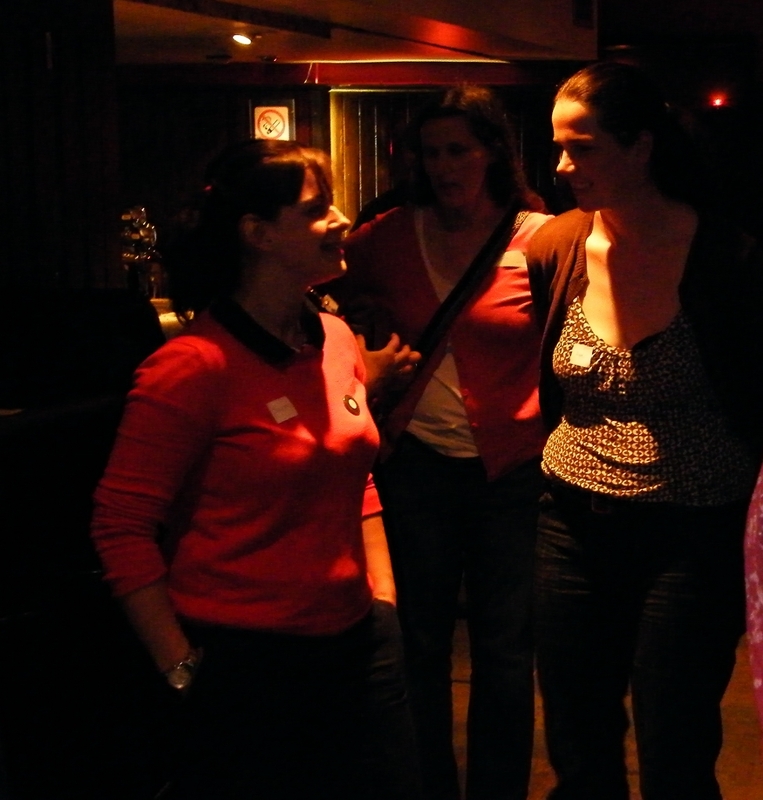 A big thank you to Drouthy's for hosting the event. 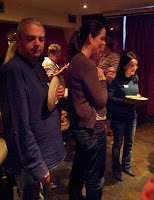 If you would like to join the Clandestine Cake Club, check the official page for details of clubs in your area. Check out one of my fellow cake clubber's post about the meeting. Stuart blogs over at Cakeyboi. If you haven't meet him yet, pop over and say hello. This is a baked cheesecake, swirled with raspberries. This cheesecake has a sponge base and is topped with cream and raspberries. Lovely, light and delicious. I made a standard quantity of victoria sponge, which makes two sponges. The second one I set aside for making trifle, but you could just use the second one for a single layered cake topped with cream and fruit or make cake pops with it. 1. Preheat the oven to 180c/fan 160c/350f/ gas mark 42. Line a 18cm/7inch deep cake tin and a shallow sponge tin of the same size for the spare cake.3. The first five ingredients are for the sponge base. In a food processor or stand mixer (you could do it by hand too), beat the butter and sugar together until light and fluffy.3. Beat in the eggs and vanilla extract, then fold in the self-raising flour.4, Divide the mixture in half. Put half in your deep cake tin for the cheesecake and the rest in the shallow tin for the spare sponge. Pop you spare sponge in the oven first, while you tackle the cheesecake. Bake for 20 minutes until well risen, golden and firm to the touch. 5. Beat together the cream cheese, sugar, plain flour, soured cream, eggs and vanilla extract until well combined and smooth.6. Fold in the raspberries, then pour the batter over your sponge base (deep tin). Smooth the top and cover with a good dusting of icing sugar.7. Pop in the oven once your single sponge is out and bake for 1 hour and 30 minutes. Try the skewer test. There may be a bit of creamy cheesecake on the skewer, but it shouldn't be wet.8. Turn the oven off and leave the cake to cool in the oven with the door open slightly.9. Once cool, remove from the tin and decorate with whipped cream and raspberries. I am submitting my cheesecake cake to this month's Teatime Treats. This is a month challenge hosted alternately by Karen over at Lavender and Lovage and Kate over at Kate Baked. 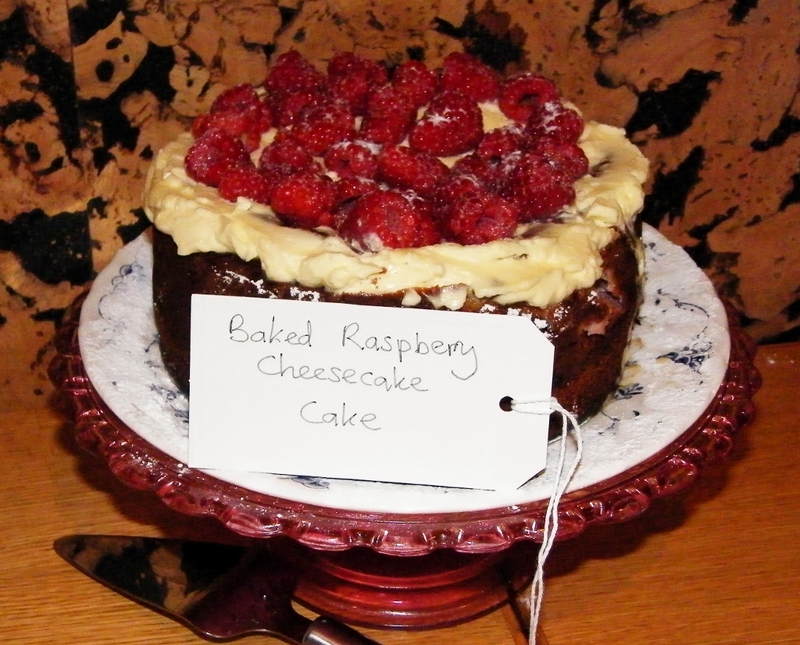 Karen is the host this month and the theme is Summer Fairs & Fetes and Cake Stalls. If you would like to join in, you have until 28 July 2012 and there is a linky at the end of the post, where you can add your link. As always, head over to The Food Blog Diary for all the latest foodie challenges and giveaways. That looks brilliant - glad you found a recipe that worked out well in the end! 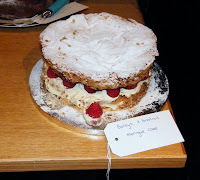 Your cake club is going from strength to strength, so pleased the second cake turned out well. Thanks Janice, so was I believe me! wow this looks amazing! I love the flavour combination and how you made a cheesecake into a cake :) I must get to a cake club one day... still haven't managed it for one reason or another. I'd probably be extra nervous baking for cake club too! Thanks Ros, it did turn out really well. I hope you do go along to cake club sometime, it really is good fun. It looked beautiful! Cheesecake is something I've never made . . . maybe I'll make your recipe over the summer! I usually make the non bake kind which is just soft cheese and double cream, that is flavoured, on a biscuit base, but this was a lovely change and much lighter. I love all cheesecake baked or not and yours looks so good. Bet you have such a good time at the CCC. I think the idea of a sponge base is very clever indeed! Thanks Laura. I wish I had a shot of it when it was cut into, then it really looked good, but my battery died on me. Mmm, your cheesecake looks delicious, and the selection of cakes looks amazing! It was a fabulous array of cakes and flavours. Funny you should say that. One of our cakes arrived still warm, but as it was rhubarb it was scrummy! I am so glad you enjoyed it Linley, let me know how it turns out for you if you make it. Mind you, you are more professional than me, so it probabaly will turn out fab. Sorry for the deleted comments, they were just from me. For some reason Blogger was going a bit wonky. It is really, really good isn't it? Although it has to be good quality. And yes it is nerve wracking trying to make the cake as it is in your mind, when cake club is beckoning. Looks like it was well worth the time it took to figure things out. Jacqueline, this cheesecake cake looks so gorgeous! What a great theme for CCC! And such a delicious recipe- no wonder it was a huge success! Thank you so much for entering it into TTT! 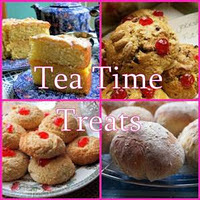 Hi,I'm visiting through Tea Time Treats. I love the idea of using a sponge base for the cheese cake. Certainly makes it light and healthier and I am sure just as delicious! It really was light and delight to eat. Lucky really, if I hadn't given it all that time in the oven, it would have been a disaster. I am glad it all turned out well in the end although cake club certainly adds a little more stress! I loved the pictures of your holiday too you all look like you had a great time! Is there anywhere that has all the details of the cakes presented? They all look fab, and yours amazing, but I would love to hear about all of them. Is that possible? Thanks.